Before you get upset with your toddler’s impatience, remember that your child isn’t emotionally or socially ready to understand the concept of waiting. First/Then language can help prepare your child that he or she might not get what they want immediately. First we will wash our hands, then we will have a cookie. Stay calm, even if your toddler isn’t. 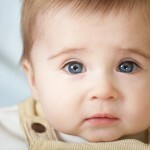 Ask your child to look in your eyes or gently touch her shoulder. You need to make sure your child is paying attention to you. If you know you will be waiting a long time, be prepared to get your child interested in various tasks. 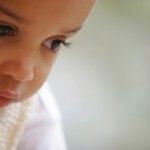 Let your child know you understand his or her frustration and put what he or she is feeling into words. I know you want to go outside right now, but we must wait for the rain to stop. Its hard to wait, isn’t it? Lets read a book while we wait. When your child gets closer to three, try a visual timer. Looking at an egg timer gives your child a concrete reminder of a set amount of time. Of course, these strategies may not work every time. If your toddler starts whining and screaming, take a moment to ask yourself if they could be hungry or tired. In those desperate moments when you are tempted to give in, don’t! Teaching your child how to delay gratification now will pay off in the future.